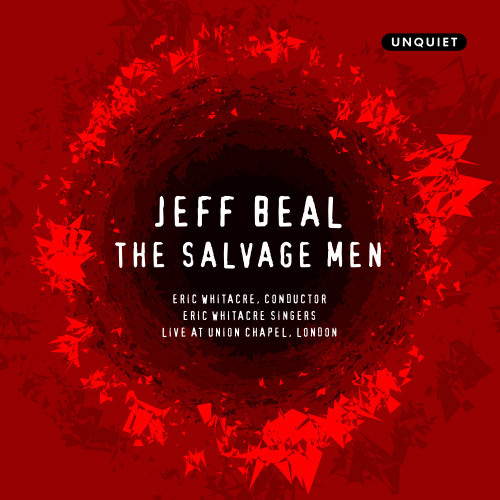 The Salvage Men is the first-ever choral piece from acclaimed American composer Jeff Beal written for the Eric Whitacre Singers and the Los Angeles Master Chorale. in Paris soon after his release from prison, at the age of 46. De Profundus (from the depths) is the poignant letter Wilde wrote from prison, reflecting on the horrors of imprisonment, the nature of human suffering and our chosen response. Wilde’s choice was to write. I was first exposed to this deeply moving letter in 2007, while scoring the documentary Wilde Salome for director Al Pacino. Several scenes in the film featured his reading from De Profundus and portrayal of Wilde’s arrest and last days in Paris. At the very same time we were working on this project, I found myself in the midst of an unexpected health crisis, which eventually lead to a diagnosis of Multiple Sclerosis. Wilde’s De Profundus came at the beginning of a journey in learning how to live gracefully with an uninvited guest. Thankfully, my disease remains mostly in remission, but I deal with neuropathic pain and other issues that those living with a chronic illness intimately understand. Music is more than a vocation, it is an integral part of my daily life, as composing, listening to and performing music lessens pain and energizes me. The lyrical beauty of De Profundus gave me the original impetus for a choral work. His words provided an entry point into this meditation on suffering and catharsis. However, it was in the poetry of Kay Ryan I found a wholly fresh, contemporary view on the themes of transformation and our chosen response to pain. Ryan’s writing style is very different from Wilde’s. She does not use the personal voice, and avoids confession. Her poetry has a circular quality to it. A revelatory line at the end of Ryan’s poetry often invites the listener to reflect back to the beginning, once a poem is finished. Ryan often will recite her brief poems twice in readings, to allow listeners this understanding. I find her poetry to have a deeply musical quality, not unlike the da capo aria. I began working on the choral settings while visiting Paris during the spring of 2014. Aimlessly wandering the streets of the Left Bank with my wife, we came across an entry to a building that looked familiar. I soon realized we had stopped in front of L’Hotel — the hotel where Wilde had spent his final days on earth. I had just begun setting Wilde’s text to music, and here we were, most unexpectedly, at his doorstep. These patterns in music, poetry and life might be viewed as signposts, encouragements, divine coincidences. It is our choice which makes them so. View the digital booklet for song texts and more information.